What Does Trump’s Executive Order on Immigration Really Mean? Trump’s Executive Order banning travel from seven Middle Eastern countries has led to thousands of protests across the United States – and the world. It has also led to an incredible amount of confusion and conjecture. While it is not truly a Muslim ban, it does have a significant impact on immigration policies. We looked at the actual order and the facts surrounding it so that we could clarify exactly what it does – and doesn’t – mean. The Executive Order specifically bans travel to the US from certain countries for a period of 90 days, starting on January 27, 2017. The order specifically bans travel to the US from Iran, Libya, Sudan, Yemen, Syria, Iraq, and Somalia, but only for those who are not currently US citizens. The order calls for a review of all policies related to any visas or admissions from any country with the goal of determining that individuals are who they say they are and do not pose any security or public-safety threat. A new, uniform program for all immigrants including a more thorough process intended to ensure that the applicant is who he or she claims to be and to assess whether or not they have any intent to commit criminal or terrorist acts in the US will be implemented. There will be a 120 day suspension of the US Refugee Admissions Program, and a review of the USRAP process will be made to determine what additional procedures should be used. While this seems a bit murky, what the order says is that the Secretary of Homeland Security, along with the Secretary of State and the Director of National Intelligence, will submit a list within 30 days of any countries that are deemed to “not provide adequate information” on those traveling to the US. After the ban is lifted on the USRAP, priority will be given to refugees on the basis of religious-based persecution, provided that their religion is a minority religion in their country. Those foreign nationals traveling on diplomatic, North Atlantic Treaty Organization, or C-2 visas for travel to the United Nations, and G-1, G-2, G-3, and G-4 visas are all excluded from the possible prohibitions listed below. Both the Secretary of State and the Secretary of Homeland Security may issue visas or other immigration benefits to individuals from countries that are otherwise blocked. After submitting the list of countries whose current policies may pose a threat, the Secretary of State will request that those countries begin providing additional information. More extensive guidelines will almost certainly be implemented. After 60 days, the Secretary of Homeland Security, along with the Secretary of State, will recommend a list of countries for inclusion on a Presidential Proclamation prohibiting the entry of foreign nationals from those countries indefinitely. The President has reserved the right to personally decide when and if sufficient changes to the USRAP have been made to ensure that the admission of Syrian refugees is consistent with the national interest. This ban may be extended indefinitely. The President has reserved the right to decide if any refugees after reaching a total of 50,000 may be admitted to the US during the fiscal year 2017. Conflicting statements have been made regarding whether or not any of the bans and/or new guidelines will affect Green Card Holders. At this point, it appears that those holding Green Cards who are traveling from specified countries will, at the least, be subject to more intense screenings and may be held indefinitely. A number of legal challenges have been made on a case-by-case basis, and more will most certainly follow. Some of those detained when the Executive Order was first issued have already been allowed to leave airports. The Executive Order itself does not specifically mention either Muslims or Islam. Trump has pointed out that more than 40 other Muslim-majority nations were not included in the order. However, in reality, the ban is more likely to stop Muslims than Christians or those of other faiths from entering the US. The ban itself will only last for 90 days. It is possible, however, that the ban could be extended or those countries could be added to the list of prohibited countries. Refugee applicants who are already in the USRAP process may be admitted upon the initiation and completion of revised procedures after 120 days, when admissions for nationals of countries which have been determined to meet additional procedures to ensure the security and welfare of the United States are resumed. 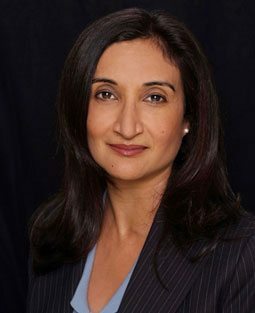 Neelam Bharwaj is an expert immigration lawyer who has been helping individuals gain US Citizenship for almost 25 years. If you need further information or assistance, we encourage you to contact us. Find out why we’re one of the top immigration lawyers in Greensboro. Let us help you today! WHAT IS THE H1B VISA?